See above the first interactive presentation about shale oil production in the Permian, Texas. You can browse through the presentation by clicking on the boxes above. For more information you can use the filters and tooltips. The Permian contains many oil-producing formations. I have selected several fields that have been responsible for most of the oil production increase over the last several years. This very large increase can be clearly seen in the 2nd tab (How much is produced?). Much of the oil is nowadays produced by horizontal wells from shale formations, but still about half of the oil production in 2015 (from the selected fields) came from conventional wells. In the 4th tab, well production profiles are shown from only the horizontal wells in these formations. 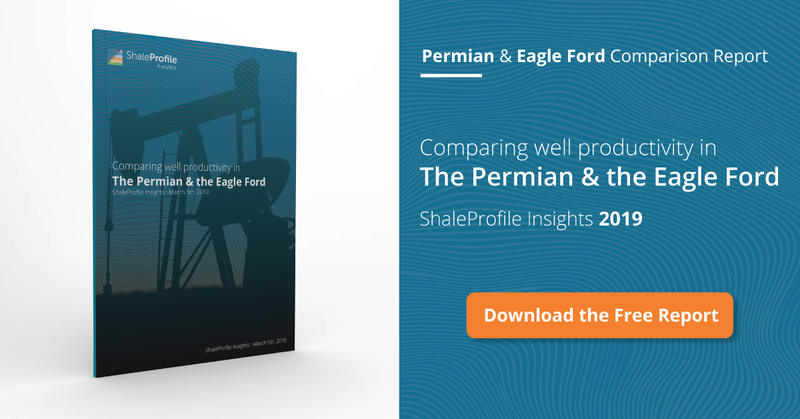 According to the EIA, the Permian has shown a production increase over 2015, in contrast with the other shale oil basins. In the data until September 2015, this increase is not yet visible, but that may have to do with incompleteness of the data, or those increases may have happened in other fields. In a future update I plan to combine many of the different field names into broader categories, so that it is easier to see how much, and from which formations/counties, oil is produced. I have used data from the RRC. As this is the first post on the Permian, it is more likely that there are still some issues with the data presented. If you notice anything strange, please let me know. My next update will be on the Bakken again, after the NDIC releases the production data for January (probably on Friday). 2) Concho Resources seems to be missing from the listed operators. Concho is a significant operator in the Permian both in Texas and New Mexico and it would be great to see that data. I really appreciate your work. Thanks again! 1) The data above only contains oil production information from the Texas side of the Permian. 2) I found the following statement online: “COG Operating LLC operates as a subsidiary of Concho Resources, Inc”. As you can see, COG is right there with the top 5 operators. My mistake. I thought COG might be Cabot.